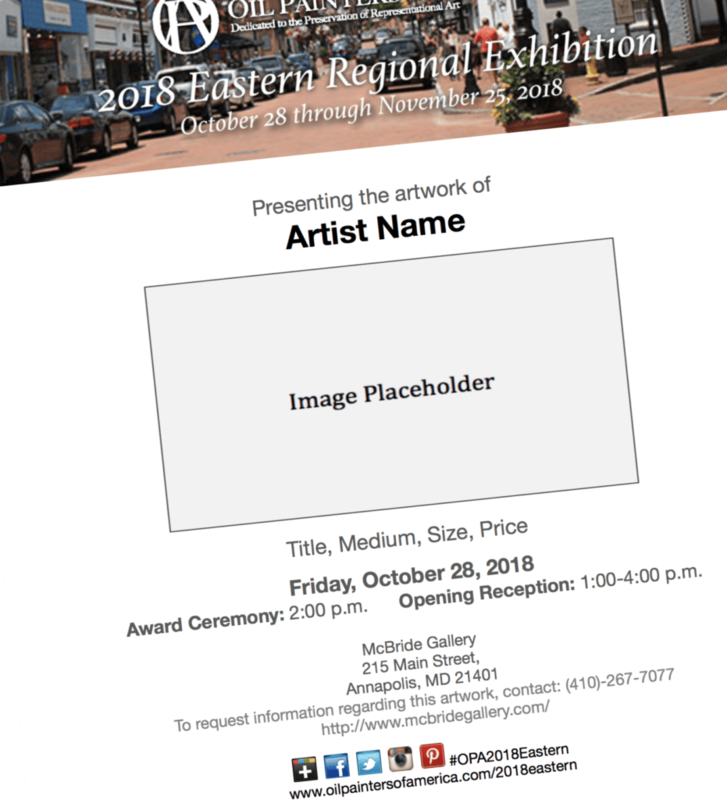 Congratulations on being accepted into this year’s Eastern Regional Exhibition to be held at McBride Gallery, located in Annapolis, Maryland, October 28 through November 25, 2018. Your painting is one of only 119 paintings to have been selected to be a part of this very special exhibition. For out of town artists, your painting should arrive at the gallery between October 8 – 15, 2018. 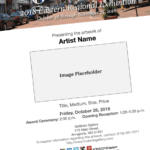 For local artists, paintings should arrive at the gallery between October 18 – 23, 2018. Let your friends, family and collector’s know about this event by using this complementary template. Click here to download. Please complete the form below so we can be prepared to receive your artwork. Your painting should arrive at the gallery between the dates of October 8 – 15, 2018. Please uncrate your artwork or use a commercial art crate when delivering to gallery in-person. Any artwork that is crated using a non-commercial art box will be charged an uncrating fee. OPA requires that you include a pre-paid shipping label to cover the return shipment of your painting if it is not sold. Don’t forget to insure your painting. There are two ways you can send your pre-paid shipping label to the gallery. a. First, include your return pre-paid shipping label in your shipment to the gallery. b. Second, create your return shipping label and email it directly to McBride Gallery. Be sure when you email your label that you include your name in the subject line. Example: “John Michael Carter – Return Shipping Label”.